Other comments: About five years ago I did away the running backstays and put intermediate shrouds to balance the inner forestay which I moved aft, parallel to the forestay - but never sail her as a cutter. I removed the bumpkin and cut about 16" of the boom in order to bring the back stay inboard. 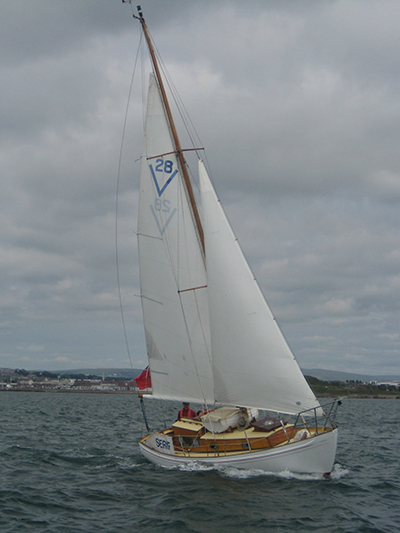 The shorter boom reduced the size of the mainsail by about 12% and against other Vertues she is slower off the wind but now being so much better balanced she points at least 10 degrees higher to windward.